The ancient Romans interpreted the favor of the gods as justification to perform ritual killings. By Dawn F. Carver, Jasmine Watson, and Jason Curtiss, Jr.
practice, but ritual killing still occurred because it was justified in a way that preserved Roman superiority. The ancient Romans interpreted the favor of the gods as justification to perform ritual killings. This paper explains the difference between human sacrifice and ritual killing using a wide collection of primary source documents to explain how the Romans felt that their superiority depended on the continued practice of ritual killing. The ancient Romans had to differentiate between ritual killings and human sacrifice to maintain their superiority over other societies, but to maintain the favor of the many Roman gods, they needed to perform ritual killings. shouting. What are they saying about the sun? Oh no, the baby is coming! Where is the midwife? She is still outside; please come back! Moments later, a baby’s wail breaks through to the midwife who rushes back in to find that Aelia has had her baby. The midwife picks the infant up from the bed and sees that her face is deformed. Terrified, she knows now that the baby is why the sun disappeared from the sky. The holy books say that a deformed child must be disposed of quickly or the gods will send a plague to punish the people of Rome. Aelia is so weak and afraid, she can’t do it. The midwife takes the baby to the sea. She must get far away from the shore. Far from Rome, she weighs the infant down with rocks and lets her go into the choppy water to please the gods, for the good of Rome. shifted and grew with each addition. This shifting led to an interesting conundrum for the Romans. In their view, they were successful and powerful because of their favorable relationship with the gods. Because of this, the Romans were superior to other civilizations, a status that they were very proud of. They strove to maintain the positive light the gods had of them by continuing the practices that pleased their deities. The conundrum comes from the restriction against human sacrifice that the Romans made into law. To distinguish themselves from other civilizations, the Romans decided human sacrifice was a violent, barbaric practice that was beneath them which led to outlawing it in 97 BCE. Sometimes, though, the gods required ritual killing to keep their favor. This led to an arrangement for the Romans: human sacrifice remained banned, but ritual killing was acceptable in necessary religious situations. The Romans’ participation in ritual homicide was a consequence of their insistence that they were superior to other people because they enjoyed the favor of the gods, yet they disliked ritual killing. the Romans used an indirect form of ritual killing to deal with violations of vows made to Vesta, a Roman god. This example shows both their discomfort—at least in some cases—with the act of ritual homicide—and the requirement for the act. Then, we explore how, with the gods’ guidance, the Romans managed prodigies through the indirect ritual killing of infants. The burials of the Gauls and Greeks will show how the Romans justified ritual killings in the sacred grove of the Goddess Diana. Finally, we will discuss the Bacchanalian incident and how the Romans viewed deaths in a foreign cult and what actions brought Senatorial displeasure. By exposing the instances of seeming Roman inaction on ritual killing, we explain why and how the Romans viewed themselves as superior to non-Romans who did not have the gods’ favor. Roman superiority was how the Romans viewed themselves in the world and in their relationship with the gods. 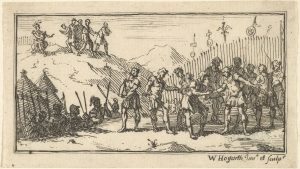 The Romans believed that in order to maintain the favored status they enjoyed, they needed to perform ritual killings in violation of established Roman law, but the ritual killing often contained a loophole such as being prescribed by the gods or the killing of foreigners and slaves who were not Roman citizens. If the killing was kept away from Roman citizens or they were killed according to the edicts of the gods, then the Romans were technically not engaging in the barbaric practice of human sacrifice. What is sacrifice? Merriam-Webster defines it as “an act of offering to a deity something precious; especially: the killing of a victim on an altar.” Celia Schultz, professor of Classical Studies at the University of Michigan, has a similar definition for sacrifice requiring both a religious link and a human death but notes that sacrifice must have an intended recipient. Schultz’s definition coincides with the distinction the Romans make between sacrifice and ritual killing. They sacrificed people in a way that tried to encompass a large range of gods and goddesses to get the optimal outcome. The Romans strove to please all of their gods in order to avoid paying for a snub with a particularly harsh winter or bad luck. The Roman sense of pride associated with the citizen identity developed over time. 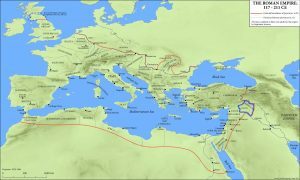 Romans were favored by the gods and therefore were better than everyone else. This prized position with the gods influenced the Romans’ willingness to accept human sacrifice as a violent necessity and moved to a more reserved state, banning human sacrifice, but allowing ritual killing. Carl Pfluger, author of The Hudson Review, talks about the difference in sacrifice throughout time. He mentions the erasing of human sacrifice from history in multiple cultures. Historic incidences of human sacrifice were manipulated into less violent lights or were portrayed as horrible acts that new generations had the sense to ban or just remove from the record altogether. It was a distortion of history out of pride. regions. 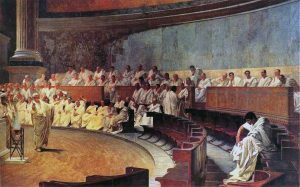 New religions had to be accepted by the Senate, which was a collection of past or present magistrates who controlled the welfare of Rome, before they became official. Because of the importance that the grace of the gods played to the welfare of Rome, the government controlled religion in Rome. New deities were not automatically integrated but had to be accepted into the fold by a Senatorial vote. No religion was official until the government said it was. With religion and government so linked, both elements were a part of the Roman identity. The two entities held a critical place in the spiritual and physical aspect of Roman citizens’ lives. 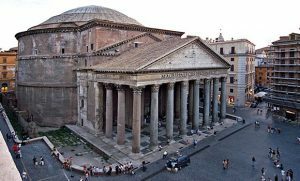 The intertwining of government and religion defined the Roman sense of superiority. Rome was founded by auspicy and augury and its inhabitants thought themselves the most religious people. The well-being of the state [Rome] depended upon discipline and religion (i.e., the performance of cultic rituals). The ever-increasing success of the empire gave proof that the gods, as petitioned through religious observance, were on Rome’s side. demanded the belief in Roman superiority, which in turn shaped the Senate’s controlling approach to religion. The religious aspect of Roman life was manipulated in part through the outlawing of human sacrifice. The Romans were fans of entertainment and large events featured spectacles of sacrifice that would awe the crowds. This practice ceased, or so it seemed, following the passing of the ban of human sacrifice. Pliny the Elder (23–78 CE) writes, “a decree forbidding human sacrifices was passed by the senate [in 97 BCE]; from which period the celebration of these horrid rites ceased in public, and, for some time, altogether.” The Romans also include justification for the law through stories related to the end of human sacrifice. Carl Pfluger, in “Progress, Irony and Human Sacrifice,” mentions a Roman tale of a mortal, Numa, the second king of Rome. In this tale, Numa persuades Jupiter, the god of lightning, that human sacrifice was not necessary. Jupiter had been upset, which the Romans most likely thought was true because of an uncommon negative event like volcanic activity visible to them or an extraordinarily large thunderstorm. The Romans had to rectify Jupiter’s displeasure to end the rain, drought, or other dangerous phenomenon. Numa talked him out of his rage and the god of lightning decided performing human sacrifice to the gods was no longer required. This story reflects how the Romans altered their mindset in the approach to human sacrifice, though previously in support of sacrifice as solutions. the Romans created their own exceptions for a few situations. There had been born a child as large as a four-year-old . . . it was uncertain whether male or female. Soothsayers summoned from Etruria said it was a terrible and loathsome portent; it must be removed from Roman territory, far from contact with earth, and drowned in the sea. This series of prodigies was resolved with other sacred rites and sacrifices along with the death of the infant. Livy grouped several prodigies into signs for a single event, when Rome was in peril and the poison had to be eradicated by any means necessary, including through the ritual killing of the “unnatural” baby. Most deformed infants were placed in boxes and thrown into the sea as means of sacrifice. Sending them out to sea was a way to purify their land, removing the offenses from the earth entirely. The sacrificial method of these infants is important to note. They were sent to their deaths in a way that removed them from Rome, casting them away from the land. These children were not supposed to exist, they did not belong with the superior Romans. Others were killed outright, and some were abandoned in the wild. This may have been a symbol of leaving the life of the infant to fate. different challenge to the Romans. Where the deformed children could be dealt with as non-Roman, the Vestals were the pride of Rome. The ritual sacrifice of a Vestal Virgin had to be handled in a very different way. Vestal Virgins worshiped the Goddess Vesta. 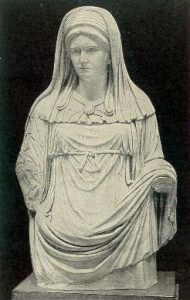 Vesta was the goddess that provided fire and her importance to the Romans required the Vestal Virgins to maintain a temple at the center of the city. Vesta’s fire was kept lit to honor and please the goddess, so she would provide fire for the people. This position of responsibility required Vestal Virgins to stay true to their name and be chaste and unmarried for 30 years, offering sacrifices and performing rituals under the law of the House of Vesta. There were severe punishments for Vestal Virgins who dishonored their vows. If a Vestal Virgin was deemed unchaste she was interred in an underground cell, but because the Romans did not allow burials within the city, the Vestal Virgins were given water and bread. This interment shows that the Romans attempted to avoid what they considered human sacrifice, because they gave the Virgins rations to live for a short time, but with the interment, their lives rested in the hands of Vesta. When the Vestal Virgins violated their vows to Vesta, the Romans had to act to keep Rome in Vesta’s favor. Violating the Vestal vows was dangerous to Rome due to the possibility of losing the favor of Vesta which would affect the Roman view of their own superiority based on their good relationship with the gods. Vestal Virgins being found guilty of being unchaste. One was buried alive, and the other committed suicide before she could be interred. Punishing of the Vestal Virgins was not entirely because of their breaking of their vows, but because the Romans experienced a disastrous loss at the Battle of Cannae. The breaking of their oaths must have meant, to the Romans, that the gods were angry and required payment, in lives, to avoid another disaster. In this same passage, Livy wrote that the Romans would bury Gauls and Greeks alive as well. Before 97 BCE and the outlawing of human sacrifice, there are three known dates with live burials of Gauls and Greeks: 228, 216, and 114 BCE. 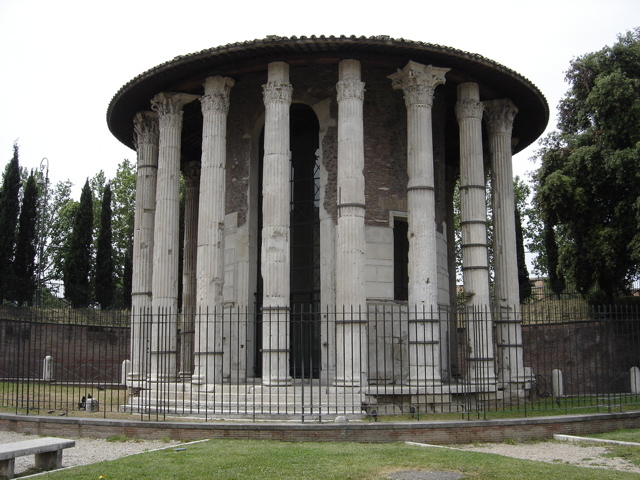 The live burials occurred in the Forum Boarium, which is also where the gladiatorial games would have their start. 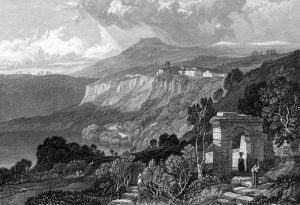 Celia E. Shultz, writes that for these live burials the Romans would consult the Sibylline books, which were books of prophecies dating back to the Romans’ distant past. By consulting religious books, the Romans were looking for divine guidance to maintain their favor with the Gods. The true reason for why the burials occurred has not been completely unraveled, but according to author and historian, Zsuzsanna Varhelyi, a parallel may be drawn between the live burials and the Cyrene ritual. The Cyrene ritual involved an open pit where objects were thrown over a number of days, and when the pit was closed so was the past.29 If the Cyrene ritual and the live burials of Gauls and Greeks are indeed a parallel, then the Romans used the live burials as a way to close the past. As is an indication of the burials in 216 BCE, when Hannibal defeated the Romans at Cannae, the Romans consulted the Sibylline books and buried a pair of Gauls and Greeks. Although the live burials of 216 BCE were related to war, the other known dates do not offer such evidence, so the purpose of the burials does not seem to be related to war, but rather as way for the Romans to kill the past and move on. Although the reasons for the live burials of Gauls and Greeks are open to interpretation, there is a possible connection between one date of the burials and the year of outlawing human sacrifice. The last recorded live burial of Gauls and Greeks was 114 BCE and the year of outlawing human sacrifice was 97 BCE. Schultz does mention this date by referencing the Greek and Roman biographer, Plutarch, who seemed to believe this ritual was religious superstition as the Sibylline books ordered the burials, but it appears that the 114 BCE live burial was the result of the interment of Vestal Virgins. sacrifice, while people in the Roman periphery were continuing to practice human sacrifice. The Romans went as far as forbidding them from participating in human sacrifice. In his Quaestiones Romanae, Plutarch questions why Rome involved itself in stopping the Bletonesii from partaking in human sacrifice when Rome had just buried Gauls and Greeks alive. The link between this incident with Bletonesii and the outlawing of human sacrifice lies with the location of the Bletonesii. The Bletonesii were an Iberian tribe located in Spain, which is also where Publius Licinius Crassus would become governor in 96 BCE, the same consul who issued the decree forbidding human sacrifice. Although there is no certainty that the Bletonesii incident was the reason for outlawing human sacrifice it happened close enough to the decree that it probably influenced it. In Aricia, there was a ritual combat that Romans did not partake in, but they allowed, in a grove dedicated to the Goddess Diana just twenty miles from the city of Rome. 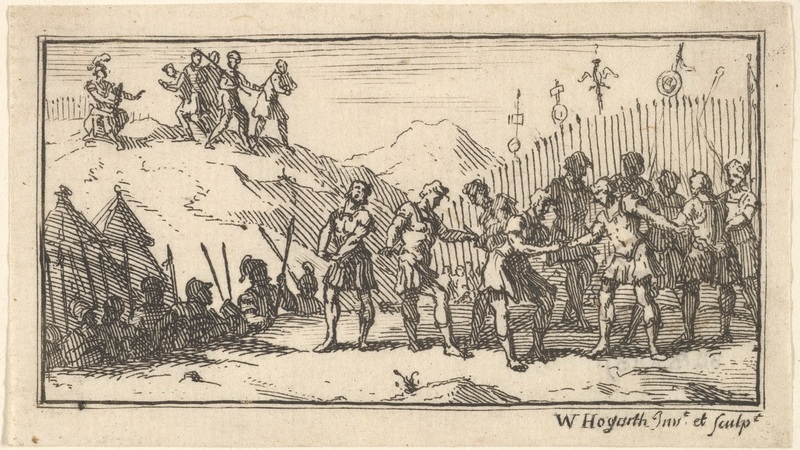 This ritual involved fugitive slaves fighting to the death, indicating ritual killing through combat, either to become protector or to maintain the status quo. This ritual was known as Rex Nemorensis as the survivor of the duel would become Rex (king) of the grove. It occurred both during the Republic, and after the human sacrifice ban of 97 BCE, into the Empire. According to historian, C. Bennett Pascal, the Romans did not partake in the ritual as they thought the ceremony distasteful, and they may have even thought the ritual to be human sacrifice. This argument from Pascal is justified by Strabo in his work Geography, when he calls this ceremony “Scythic.” If the Romans did think the ritual distasteful then the favor of the gods must not have been with the fugitive slaves. The ritual involved a fugitive slave challenging the current Rex of the grove which resulted in one of their deaths. Historian C.M.C. Green wrote that this ritual was more than just challenging the current Rex, as the elders of the cult trained a fugitive slave to replace the Rex who was either aging, or the Rex was not protecting the grove to the elders’ expectations. Ultimately, the purpose of the Rex was to defend the grove from mankind and nature itself. Green contends that even though the fate of one of the participants was death, the purpose of the ritual was the funeral of the former Rex. The reason for this conclusion is because the fight between Rex and challenger was forbidden to be seen by public eyes, and would take place in the grove as a sort of symbolism that the protector who had slain to become Rex, would be slain by the next Rex. The funeral took place with the body on an altar, and afterwards the new Rex would take the bones and ashes of the old Rex down into a cave to send the manes, souls of the dead, to the underworld as the new Rex would prepare to protect the grove. There was also a symbolic marriage between the Goddess Diana and the Rex. The symbolic marriage may just have been a religious connection between goddess and the protector of her grove. This symbolism may show, despite Strabo believing this ritual barbaric, that there was a need to have favor with the Goddess Diana. Diana was the goddess of slaves, so when the Romans did not interfere with this ritual after the human sacrifice ban, perhaps the Romans saw this ritual as a necessary death to keep Rome in Diana’s favor. Unlike the well-established Rex Nemorensis ritual, the Bacchanalian incident of 186 BCE was a short-lived incident involving a foreign cult that came to Rome from Etruria and spread throughout the Roman territory. In 186 BCE, the Cult of Bacchus in Rome was accused of participating in several crimes, including forgery, bearing false witness, falsifying wills and murder of whole families. The cult also participated in socially taboo actions such as the upending of societal norms relating to sexual and family power and accepted gender roles in the wielding of power. For a time the Cult of Bacchus was exclusively practiced by women without incident, until the cult was perverted by the High Priestess, Paculla Annia who implemented changes to cult practices. The first change was to admit men. Next, Annia changed the meeting time from day to night and increased the number of initiation days from three times a year to five times a month. Finally, in a move that foreshadowed ill intent for the traditional patriarchal family, Annia initiated her own sons into the cult. Annia claimed that the changes came to her from the god, Bacchus, in the form of a prophecy. gleaned from a young freed woman named Hispala, the Cult of Bacchus had become a den of debauchery and ill intent. Hispala claimed that for many initiates, the process of initiation became a life and death battle that ended in either defilement or death. There were more lustful practices among men with one another than among women. If any of them were disinclined to endure abuse or reluctant to commit crime, they were sacrificed as victims. To consider nothing wrong, she continued, was the highest form of religious devotion among them. The treatment of oath breakers that took place among the practitioners of this cult can be seen as a microcosm of the general Roman idea of maintaining the favor of the gods through ritual killing. Livy writes, “Men were fastened to a machine and hurried off to hidden caves, and they were said to have been rapt away by the gods; these were the men who refused to join their conspiracy or take a part in their crimes or submit to pollution.” Initiates who resisted the practices dictated by the cult were in violation of their vows. 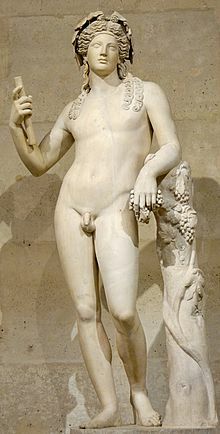 Offering their lives to Bacchus was a form of ritual killing to pacify the deity for their broken vows. Religion for the Romans was a contractual relationship with their gods that required the giving of something of value when asking for divine help or special favor. If ritual killing was the price for violating vows, then what vows did the Bacchus initiates violate? Livy states that the initiates had repeated the “prescribed form of imprecation which pledged them to every form of wickedness and impurity.” Presumably the Bacchus initiates were agreeing to do everything the cult asked them to do. By refusing “to endure abuse or be reluctant to commit crime…they were sacrificed as victims,” would be a just way to rectify the violated contractual agreement made to Bacchus. This was similar to the way disgraced Vestal Virgins who had violated their vows of chastity were sentenced to ritual death by internment. The Vestal Virgins had broken a contractual agreement with Vesta, and for the good of Rome the contractual balance had to be restored by ritually killing those who had broken their vows. Because of the violated vows, the leaders of the Bacchus cult were justified in performing ritual homicide as a means of maintaining the favored status of the gods. This justification would explain why the Senate did not react to the ritual murders said to be performed by the Bacchus cult while debauchery and bearing false witness brought such a large Senatorial response. This contractual relationship made the violation of vows a serious matter putting the cult and Rome at risk with Bacchus. Ritually killing those who violated their vows to Bacchus was the only way for the cult to restore the contractual balance. The chronicling of the Bacchanalian incident by Livy exposed the relationship cult members had with Bacchus and the seriousness with which the violation of vows made to Bacchus were taken. The severe Senatorial response to the cult further illustrates the importance of Roman superiority expressed through the discomfort with the acceptance of ritual killing. gods was a necessity. When the criminal activities of the Bacchus cult were revealed by Hispala, the Senate investigated and accused cult members of a number of serious crimes including but not limited to “bearing false witness, forging seals and testaments…poisonings and murders of families [who were not cult members].” Over 6,000 people were executed for the crimes of “polluting themselves by outrage and murder.” The Senate had to take action against the cult to ensure young Roman nobles were qualified to take up the mantle of leadership. Sarolta Takács, argues that the Senate acted in the Bacchus incident not because of the murders of families or ritual killings, but because the cult was taking the place of the traditional father figure. Young men were being initiated into the cult by their mothers, in direct conflict with the paternal Roman power structure where fathers held ultimate power over their children. In a speech to the Senate, Consul Postumius demonstrated the true outrage the Bacchanalian incident caused the Romans; young men were becoming unworthy in the eyes of the Roman government, to protect Roman women and children due to the debaucheries they performed in the cult. The defilement of young men threatened Roman superiority. The young Romans had been debased and were no longer considered to be perfect specimens of Roman masculinity. They were considered to be deformed and needed to be removed from society much like what happened to the deformed children who were killed shortly after birth. The Senate saw the cult’s actions as a threat to the very fabric of the Roman family and governmental institutions. This forced the Senate to take swift action when it ordered the execution of over 6,000 cult members. These executions were justified in the eyes of the Romans because of the threat the members of the Bacchus cult posed to the view of Roman superiority. The executions of the cult members could be seen as ritual killings, but instead of deformed infants, this time it was of deformed adults who lacked the characteristics that made the Romans superior to others. The only way to maintain superiority was to dispose of those who were not ideal Romans through the state’s version of ritual murder: execution. violation of vows made to Bacchus were a serious matter that put the cult at spiritual risk. It was contractually required that the cult perform ritual killings to appease Bacchus and repair the contract that had been broken. They became victims who were sacrificed to Bacchus as a form of appeasement for violating their vow of obedience and secrecy. The Senate became involved in the Bacchus Cult when it became apparent the cult threatened Roman society and superiority by usurping the traditional male role. The reaction to the Bacchanalian incident of 186 BCE demonstrated that the Romans would go to great lengths to protect the Roman patriarchy and to preserve the view of Roman superiority by executing those who did not exemplify traditional Roman superiority. The gods occupied a unique place in Roman society which gave the Romans the divine authority to rule over others. With the approval of the gods, the Romans viewed themselves as superior to other people and, to maintain that superiority, the Romans had to mark themselves as more civilized than those other people. In 97 BCE, the Romans officially outlawed human sacrifice, but they went to great lengths to justify ritual killing by differentiating it from sacrifice. In each case, the Romans had a justification that preserved their superiority. So, might a Roman woman have responded to signs from the gods. The Roman Republic is traditionally given the founding date of 509 BCE and the Roman Empire replaces it in about 30 BCE. This paper focuses on the time between 189 BCE and 113 CE, where we have the most reliable sources on the subject. The arrogance of the Romans spanned across centuries, for this research, the focus is on 189 BCE through 113 CE. Human sacrifice was banned around 97 BCE. It is important to note that the gladiatorial games were a major part of ritual killings in Roman society. However, the topic of the games and the ritual homicide within them is extensive. Therefore, the subject has been limited to focus on other aspects of ritual killing in ancient Rome. “Sacrifice,” Merriam-Webster, accessed Sept. 29, 2017 at https://www.merriam-webster.com/dictionary/sacrifice. Celia Schultz, “The Romans and Ritual Murder,” Journal of the American Academy of Religion Vol. 78, No. 2 (June 2010): 518, accessed Sept. 29, 2017 at http://www.jstor.org.ezproxy.csupueblo.edu/stable/40666530. Dr. Schultz has written a series of books relating to Roman history, with focuses on women in Rome and religion. Schultz, “The Romans and Ritual Murder,” 518. Carl Pfluger, “Progress, Irony and Human Sacrifice,” The Hudson Review Vol. 48, No. 1 (Spring 1995): 67-71, accessed Sept. 29, 2017 at http://www.jstor.org/stable/3852059. Sarolta A. Takács, “Politics and Religion in the Bacchanalian Affair of 186 B.C.E.,” Harvard Studies in Classical Philology Vol. 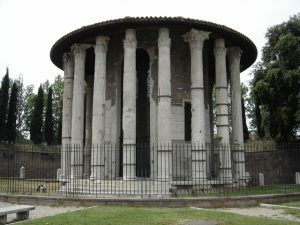 100 (2000):302, accessed October 7, 2017, http://www.jstor.org.ezproxy.csupueblo.edu/stable/3185221 on how the Roman government’s example of control over the Bacchanalian cult was a public display of religious purity. Livy, Hist. 39.18.7-8, on the role of government on religion and the laws limiting religious ceremonies. The Bacchus cult was banned from Italy and adjustments were made by law to prevent further corrupted behavior in other religious groups. Takács, “Politics and Religion in the Bacchanalian Affair of 186 B.C.E.,” 302. Andreea Rîpeanu, “The Influence of Religion on the Roman Legal System”, Challenges of the Knowledge Society, (2016): 249-253 on the absorbing structure of Roman religion. The foundation of religion in Rome was two core myths. The first legend was Rome’s creation with the twins, Romulus and Remus. The second tells of Romulus killing his brother and taking Rome. It then evolved into a devoted society where religious practice was duty. Pliny the Elder, Natural History, Book 30.3. Pliny lived from 23 or 24 CE until 79 CE. He was one of the first early historians, recording information from his own time and prior to his life. His work serves as a leading primary source for ancient Rome. 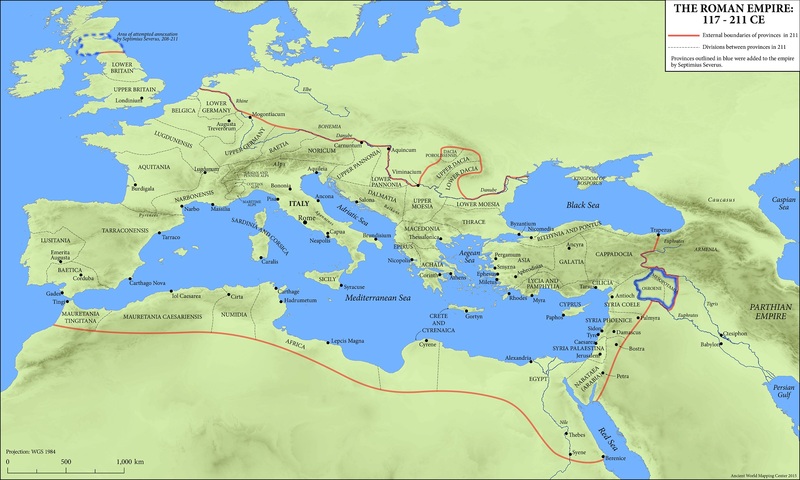 Before the Republic, the Romans had a monarchy, traditionally dated 753-509 BCE. Pfluger, “Progress, Irony and Human Sacrifice,” 73-74. This source is analyzed by Pfluger from Plutarch, The Life of Numa Pompilius, c.15. Titus Livius, History of Rome, trans. Rev. Canon Roberts (J.M. Dent & Sons, Ltd., London, 1905), 27.23.1-4. Accessed in October, http://mcadams.posc.mu.edu/txt/ah/Livy/Livy22.html. Livy, 22.57.2. They were even dealt with by the decemviri, officials on a small council, rather than with the religious leaders who were more powerful at the time. The Vestal Virgin portion of this paper was accomplished with contributions from our colleague, CSU-Pueblo student Brittany Vail. Ovid, Fasti. trans. Sir James George Frazer (Cambridge, Massachusetts, Harvard University Press, 1931),6.249- 98. 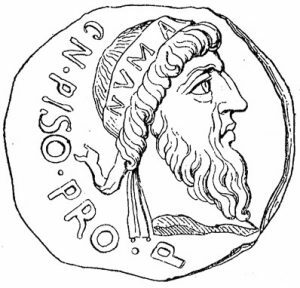 Accessed in October, https://archive.org/stream/ovidsfasti00oviduoft/ovidsfasti00oviduoft_djvu.txt. For lesser faults, these women would be whipped with rods. Dionysius of Halicarnassus, The Roman Antiquities, 2.67. Schultz. “The Romans and Ritual Murder,” 531. Livy, 22.57. Livy wrote that it was custom to bury the Vestal Virgins at the Colline Gate. Schultz, “The Romans and Ritual Murder,” 527. Schultz, “The Romans and Ritual Murder,” 531. Zsuzsanna Varhelyi, “The Specters of Roman Imperialism; The Live Burials of Gauls and Greeks at Rome” Classical Antiquity 26, no. 2 (2007) 298, doi:10.1525/ca.2007.26.2.277. Varhelyi, “The Specters of Roman Imperialism.” 299. Schultz, “The Romans and Ritual Murder,” 532. Plutarch, Quaestiones Romanae, 83. The Vestal Virgins became suspect after a maiden was struck by lightning, and three Vestal Virgins would later be found guilty of breaking their vows. Mary Beard, John North, and Simon Price, Religions of Rome: Volume 2, A Sourcebook (New York: Cambridge University Press, 1998) 158. C. Bennet Pascal, “Rex Nemorensis,” Numen 23 Fasc. 1 (Apr. 1976): 23, http://www.jstor.org/stable/3269555 (accessed Oct. 8 2017). Suetonius, Caligula, 35. The reason we know the ritual of Rex Nemorensis occurred into the Empire is because Suetonius writes of a charioteer who was cheered over Caligula and challenged for the right to become Rex Nemorensis. Pascal, “Rex Nemorensis.” 35. Pascal argues that as time passed the role of Rex Nemorensis may have become less dignified which led to Roman citizens thinking the ritual distasteful. C.M.C. Green, Roman Religion and the Cult of Diana at Aricia (New York: Cambridge University Press, 2007) 155. Green argues that the current Rex would have to have been aware that elders were training someone as it was the Rex’s job to know when danger was present in the grove. Green, Roman Religion and the Cult of Diana at Aricia, 170. Ibid. By initiating her sons, Annia upended the paternal power structure currently in place. Altars with inscriptions found throughout the Roman territory often end with VSLM which is the abbreviated version of Votum Solvit Libens Merito. VSLM means willingly and deservedly fulfilled his vow. These altars show the seriousness that Romans viewed the contractual relationship they had with the gods. The surviving alters show that Romans went to great expense to uphold their end of the vow. Livy, 5.39.18. P. G. Walsh, “Making a Drama Out of a Crisis: Livy on the Bacchanalia,” Greece and Rome 43, no. 02 (October 1996): 193, accessed November 03, 2017, doi:10.1093/gr/43.2.188. P. G. Walsh, “Making a Drama Out of a Crisis: Livy on the Bacchanalia,” Greece and Rome 43, no. 02 (October 1996): 193, accessed November 03, 2017, doi:10.1093/gr/43.2.188. Livy, 5.39.08. the families who were killed were those who stood in the way of inheritance. Livy, 5.39.18. Livy describes the crimes while Takács declares how many were executed in “Politics and Religion in the Bacchanalian Affair of 186 B.C.E.” on page 300. The murder spoken of was those murders committed by cult members in order to collect inheritance, not the ritual homicide to placate the gods. 1995): 67-73. Accessed September 29, 2017. http://www.jstor.org/stable/3852059. “Ritual.” Merriam-Webster. Accessed November 29, 2017. https://www.merriam-webster. (1995): 65-85. Accessed September 29, 2017.doi:10.2307/301058. “Sacrifice.” Merriam-Webster. Accessed November 29, 2017. https://www.merriam-webster.com/dictionary/sacrifice. Harvard Studies in Classical Philology 100 (2000): 301-10. Accessed October 3, 2017.
no. 02 (October 1996): 188-203. Accessed November 03, 2017. doi:10.1093/gr/43.2.188. Westrup, C. W. The laws of the Twelve Tables. London, 1950. Avalon Project – Documents in Law, History and Diplomacy. Accessed November 30, 2017. http://avalon.law.yale.edu/ancient/twelve_tables.asp. (Mass. ): Harvard University Press, 2001. Morgan Murphy. Oxford: Oxford University Press, 2009. Demosthenes and Cicero, Caesar and Antony. New York: Collier, 1909. Suetonius. The Twelve Caesars. Translated by Robert Graves. London: Penguin Classics, 2007. Jackson Brodribb. Edited by Moses Hadas. New York: Modern Library, 2008. Originally published by El Rio: A Student Research Journal (Spring 2018, 1-15), Colorado State University-Pueblo, under the terms of a Creative Commons Attribution 2.0 Generic license.